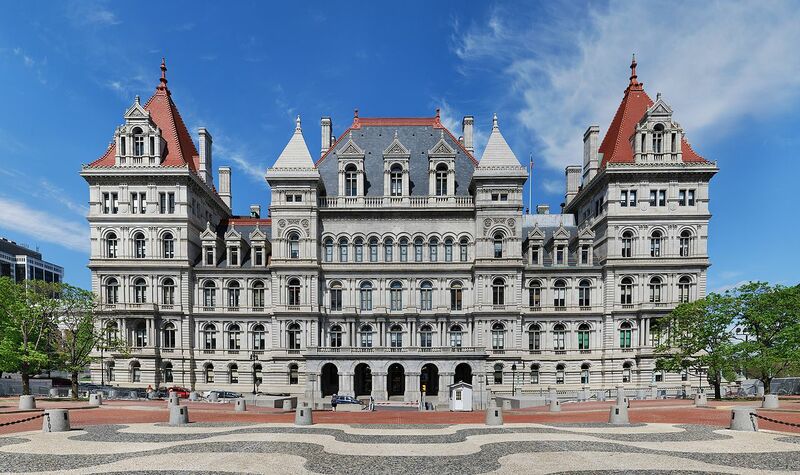 Atop a hill, overlooking the Hudson River in Albany, stands the New York State Capitol building, hailed an architectural masterpiece when it was originally completed in 1899. It took 32 years to build the ornate structure, an eclectic mixture of Gothic revival, Romanesque and Moorish influences, but only about an hour for flames to severely damage the so-called “fireproof” seat of state government 12 years later. 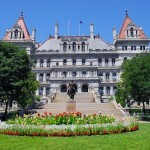 Treasures of New York: The New York State Capitol delves into the controversy surrounding the Capitol’s initial construction, theories of the fire’s origins, its re-building, and more recent work to repair its complex of roofs and restore a massive skylight. Originally broadcast by WMHT, this updated production, hosted by Rafael Pi Roman, airs Wednesday, December 5, 2012 at 7:00 p.m. on WLIW21 and Monday, December 10, 2012 at 10 p.m. on THIRTEEN. After broadcast, the film will be available to national audiences at thirteen.org/treasures-of-ny. The Web site offers past episodes and conversations with visionaries behind New York’s greatest institutions. Architect Thomas Fuller, who submitted the winning design in the state’s competition, promised he would get the job done in four years for four million, but 10 years and 10 million later, only the first two floors had been erected. Following an investigation by New York City architects, Leopold Eidlitz and Henry Hobson Richardson, Fuller was replaced by his two investigators. Most notable in their design was organizing the structure around a vast central courtyard with three majestic staircases providing light and air deep into the building’s interior. Above the great western staircase, the largest of the three modeled after the grand staircase of the Paris Opera, was a massive skylight. 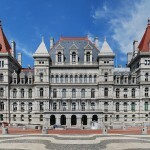 Besides the Senate and Assembly, the NY State Museum and NY State Library were also housed in the now overcrowded Capitol on that fateful night of March 29, 1911 when a fire broke out in the Assembly Library. Although defective wiring was cited as the cause, others blame legislators who gathered in the library, also known as the “booze room,” that night and may have dropped a lighted match into a wastebasket or onto an alcohol-soaked carpet. But the Capitol was rebuilt, fire codes established, and to this day, work continues conserving historic documents damaged in the fire. In 2000, yet another overdue project, replacement of the chronic leaking roof, got underway as the entire decorative, ornamental terracotta tile was removed and reproduced in keeping with a national historic landmark. But it was the restoration of the magnificent skylight, removed in the 1960s, that made the most dramatic interior change to the Capitol as daylight once again illuminates the great western staircase. 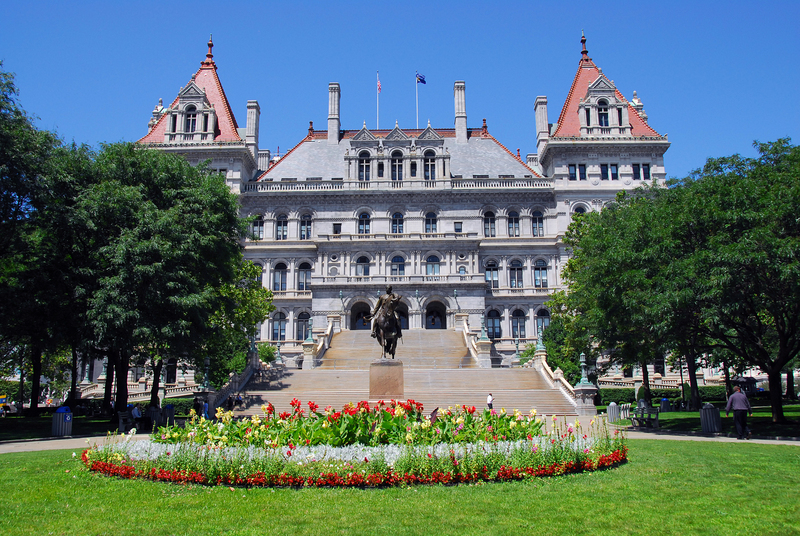 The New York State Capitol is a production of WLIW21 in association with WMHT, Albany and WNET, the parent company of THIRTEEN and WLIW21, New York’s public television stations and the operator of NJTV. 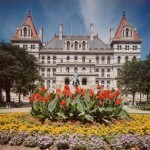 “The New York State Capitol” is written, directed & produced by Daniel Swinton and Steve Dunn. Executive producers are Paul Hoagland and Marianne Potter. 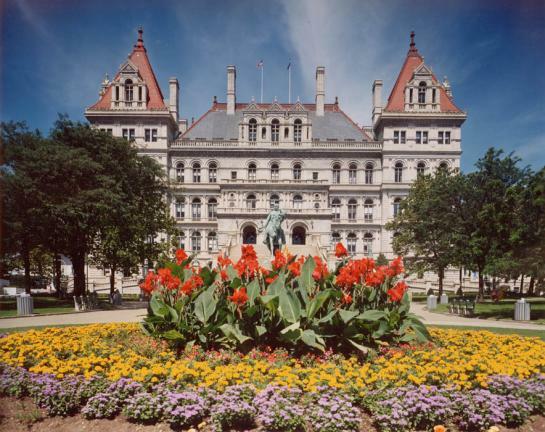 Treasures of New York: The New York State Capitol is executive produced by Mary Lockhart. Diane Masciale is executive producer of the Treasures of New York series and local programming. Executive-in-Charge of Production is John Servidio. Treasures of New York explores New York’s cultural heritage by spotlighting its points of interest, distinguished establishments and notable figures. The series is generously funded by Metropolitan Media Fund. Additional funding for this program is provided by The Bender Family Foundation; AIA, New York State Inc.; Titan Roofing Incorporated; Monaco Restorations Inc.; Simpson Gumpertz & Heger Inc.; New York State Professional Fire Fighters Association; NY Civil Service Employees Association; and TD Bank. In 2012, WNET is celebrating the 50th Anniversary of THIRTEEN, New York’s flagship public media provider. As the parent company of THIRTEEN and WLIW21 and the operator of NJTV, WNET brings quality arts, education and public affairs programming to over 5 million viewers each week. WNET produces and presents such acclaimed PBS series as Nature, Great Performances, American Masters, Need to Know, Charlie Rose and a range of documentaries, children’s programs, and local news and cultural offerings available on air and online. Pioneers in educational programming, WNET has created such groundbreaking series as Get the Math, Oh Noah! and Cyberchase and provides tools for educators that bring compelling content to life in the classroom and at home. WNET highlights the tri-state’s unique culture and diverse communities through NYC-ARTS, Reel 13, NJ Today and, MetroFocus, the multi-platform news magazine focusing on the New York region.